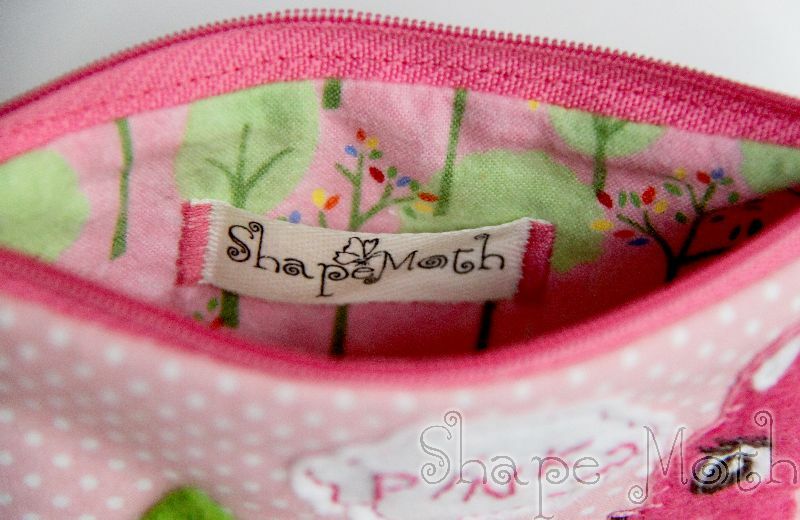 Shape Moth: To much pink? So I did not have much choice... just to create along... I made cute pink wristlet with - of course - even more pink fawn. 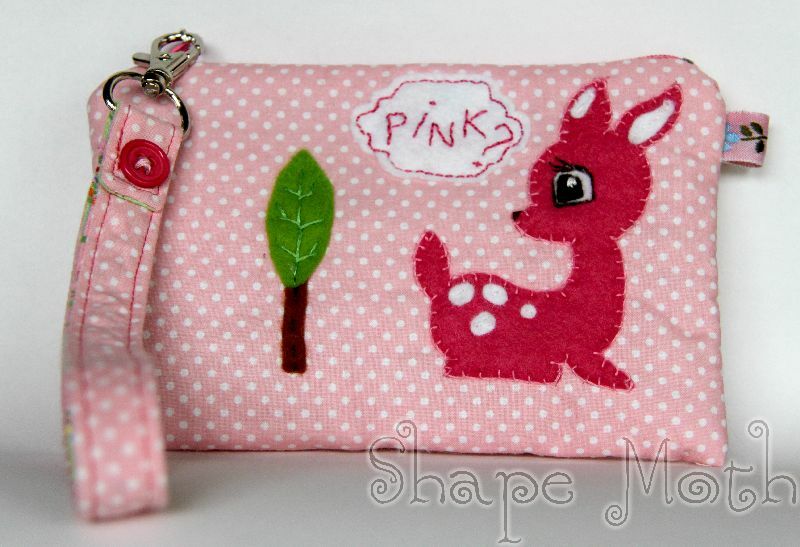 It's about 10 x 16 cm big with about 20 cm long detachable wrist strap (lenght with swivel clip). 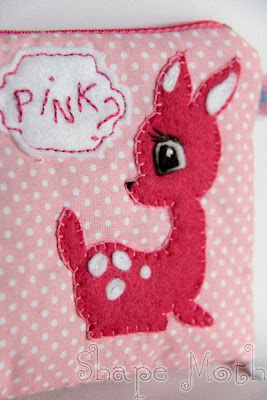 It's soft, cute... wait, I already said that, but it's darn cute, so I had to repeat it :D and whole pink... Lining is made from very soft flannel in fitting design, and I also use speciall batting. Ciesze sie ze sie podoba :) Odp. na pw na forum. Pozdrawiam! pink do szpiku kości :) super! 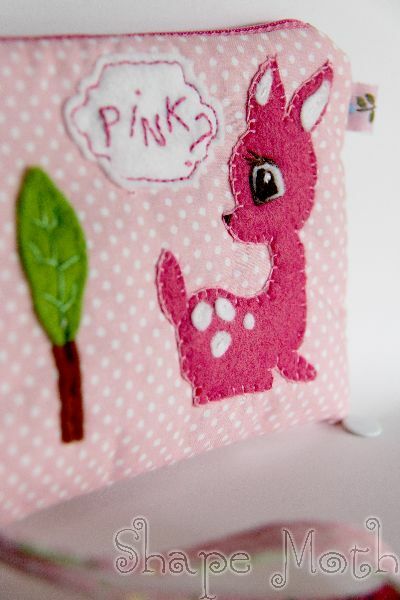 The baggie is wonderful and really PINK,so certainly will be qualified in 'szuflada-challenge'. I have just started the new Tilda-dressed in pink,but I do not know if I manage to get into the project. 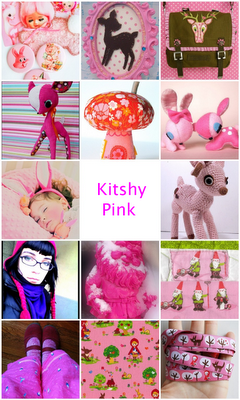 I have just discovered your Blog and I can say-I like Your Creations very much. Cute! I love the pink fawn, it's just adorable :) Happy Fabric Tuesday to you! Very cute! I love the little fawn! Um I want that! Will you send it to me for Christmas??? SO CUTE! How cute is that?! Just adorable! What little girl wouldn't love to find that under the tree?! I just loved this - be sure to grab a Featured On button & thanks for linking to Craftastic Monday!